Getty/Paula BronsteinJetsun Pema, 27, is the world’s youngest living queen. 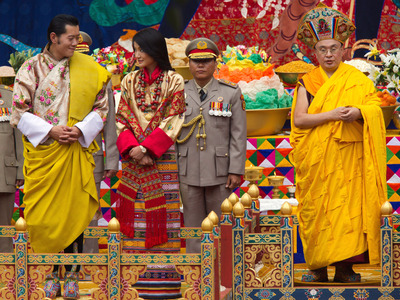 Jetsun Pema, 27, is the world’s youngest living queen. She took the throne at the age of 21 in 2011, when she married King Jigme Khesar Namgyel Wangchuck of Bhutan, now 37. Meet Jetsun Pema, the youngest queen on the planet. 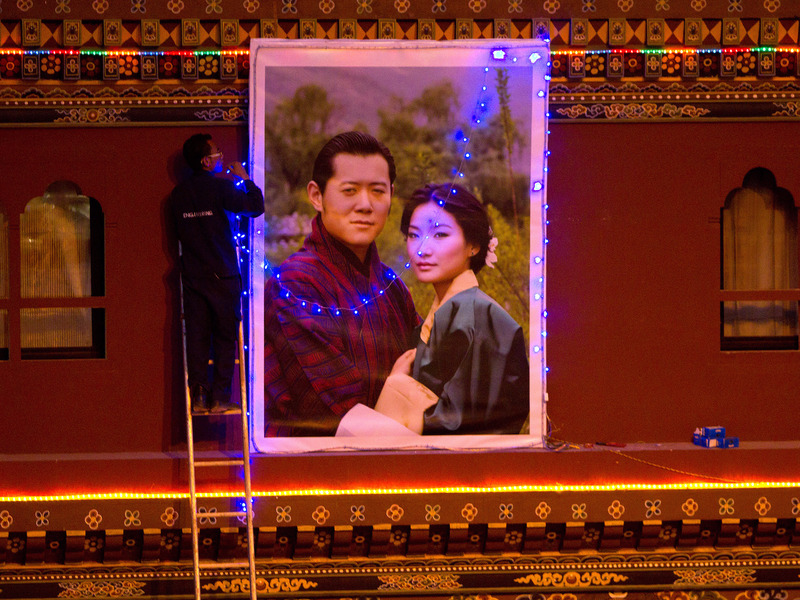 This is 27-year-old Queen Jetsun Pema, the youngest living queen. Before taking the throne, the queen attended Regent’s College in London, where she studied international relations, psychology, and art history. The couple apparently share a love of art. 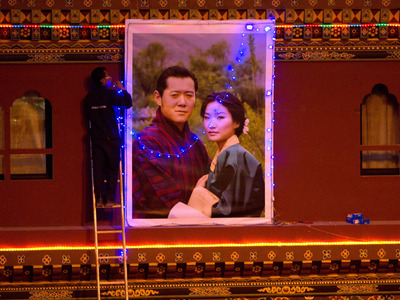 Getty/Paula BronsteinPreparations for the royal wedding included mounting this giant portrait of the king and his bride. 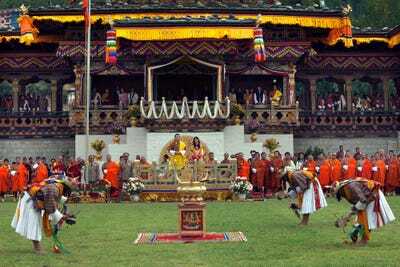 More than 50,000 Bhutanese citizens attended the final day of wedding celebrations at Changlimithang Stadium in Thimphu. This wonderful image of Their Majesties, celebrating the Royal Wedding Anniversary which falls this month, features on the free desktop and smartphone wallpaper available on www.yellow.bt. 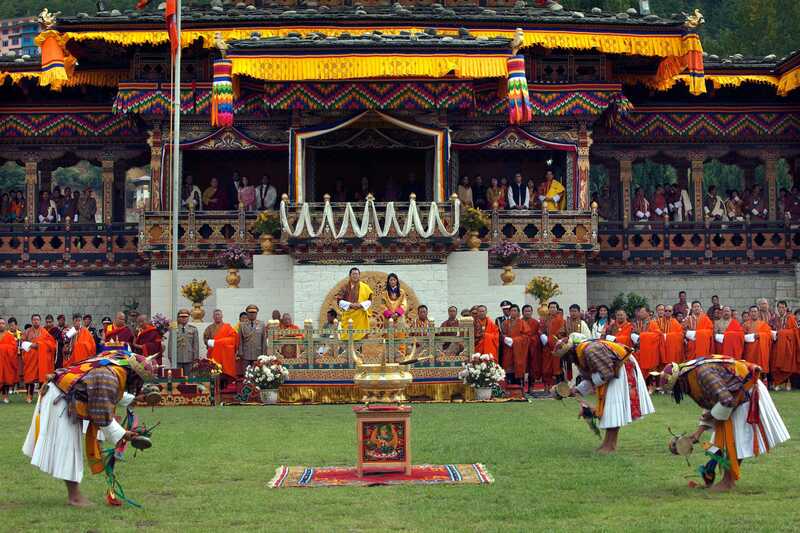 This image is from 14 October 2011, as Their Majesties met hundreds of thousands of people along the highway while returning from Punakha after the Royal Wedding Ceremony to Thimphu. However, her family apparently has long-term links with the royals. She is the daughter of a pilot, but her paternal great-grandfather was lord of the eastern province of Tashigang, and her maternal grandfather was the half-brother of the wife of Bhutan’s second king, according to The Post. She’s known for her charity work for organisations like the Bhutan Red Cross Society, Ability Bhutan Society, and Bhutan Kidney Association. She gave birth to the royal couple’s first child, a son named Jigme Namgyel Wangchuck, in February 2016. They most recently visited New Delhi, India, in October, where their 1-year-old son reportedly melted hearts — and it’s not hard to see why.